Continuing on our journey through the chakras, we are half way there! Part 5 is learning about the Heart Chakra. Now, if you have been following along, you should continue to feel more comfortable understanding how each one is distinctive in its own way. Distinctive, so you know how to improve or focus on healing and maintaining mental or physical well-being in the body. The Heart Chakra (Anahata) is symbolized by a lotus flower with twelve petals and relates to the color green. This chakra has a lot to do with our emotions. Complex emotions such as compassion, tenderness, equilibrium, and rejection. When we "love", the feelings that we have originate from the heart chakra. This is how we emotionally relate to others around us. In our past, there may have been many events and/or opportunities for positive or negative experiences pertaining to love and relationships with others. We deal with these situations differently. Some may shut down and minimize the energy dedicated to that encounter. Other times, we may build up our energy to confront the encounter head-on. Whichever mechanism is used, the result effects our chakras. The after effects get embedded in our chakras. 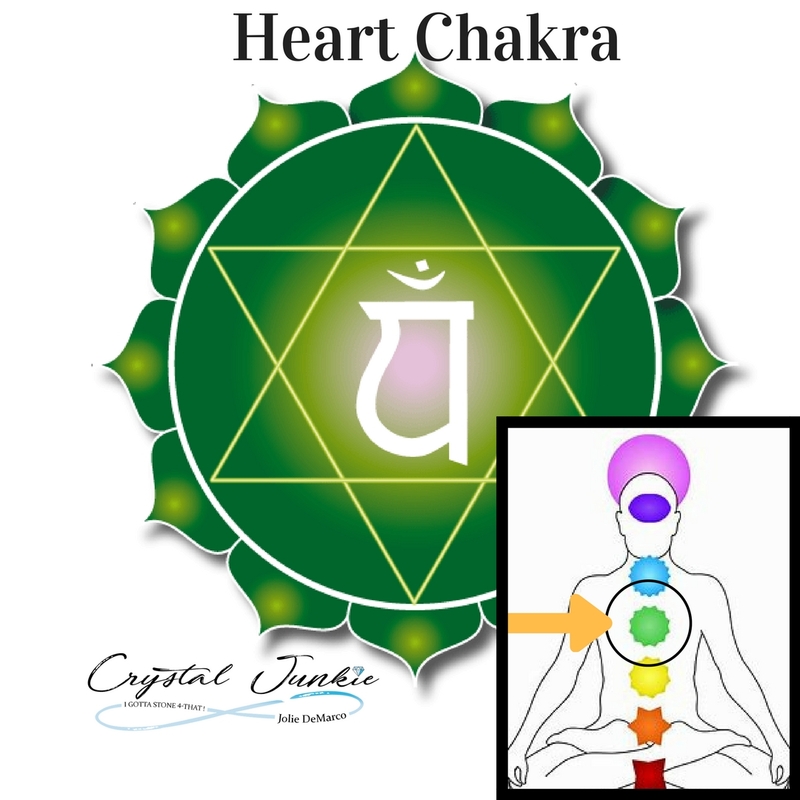 When do we need heart chakra healing? There might have been a hurtful breakup or a traumatic experience at a young age that caused suffering or pain. These feelings can cause our chakra to close. The opposite can occur as well. Now more than ever some of us are taking care of an aging parent or a demanding spouse which will overexert your heart chakra and other chakras. This is when the heart chakra will not flow properly or become blocked. If the heart chakra is not flowing freely, you may feel fatigued, exhausted, or in repeated thoughts or behavioral patterns. Therefore, when it is flowing properly, we feel worthy of love, and we feel safe in opening up to give and receive love with others... "positive energy". Crystal for the heart chakra: Rose quartz, Green Adventurine, Pink Tourmaline, Emerald, and Green Peridot. or all 7 chakra crystals together are usually available at your local metaphysical crystal shop. Remember, you and everyone around you releases energy. This energy can effect us in a positive or negative way. Focus on being positive and surround yourself with positive people. This will help you stay balanced. So, get those heart chakras flowing and be sure to read the next blog on the Throat Chakra!